The forklift truck is practically a century old and during that time we have seen many new varieties. Today its value is still undeniable in the warehouse, loading dock or yard. 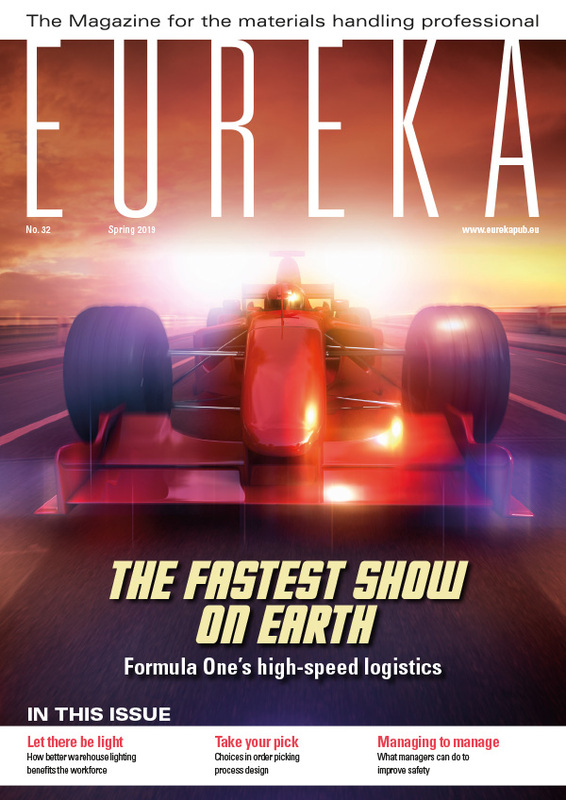 For this special issue of Eureka, Gian Schiava sets out to discover how the development of forklifts and their natural habitats, especially the warehouse, have impacted on the humans that work with them. Back in the early 20th century, the forklift was a kind of push truck and it was not until the pallet was invented that it started to become a common tool in all kinds of businesses. Today forklifts play an essential role in modern materials handling. It’s clear that moving goods efficiently has also become crucial to the bottom line. Let’s find out how the logistics manager and the forklift driver have had to adapt. After the first rough forklift entered the market, it didn’t take long before different varieties started to emerge. The thirties saw perhaps the first contemporary-looking forklift with an internal combustion engine and a hydraulic lift and tilt system. During the Second World War, the Americans used the truck as an important means of transport, understanding that proper logistics created a crucial advantage in the battlefield. Later we saw the development of all kinds of forklift types, such as stackers, reach trucks, multi-way forklifts, narrow aisle trucks, order pickers and container handlers. As the range of machines grew, specialist companies developed so-called ‘forklift attachments’ for specific jobs, like clamps, grippers and fork spreaders. Toward the end of the last century the warehouse was no longer just a place to keep goods but an important link in the whole supply chain, and for business it became essential to deliver products fast. The rise of e-commerce accelerated things even further and the forklift was again enriched with new devices such as scanners and weighing devices. The now mostly electric trucks in the warehouse are driven by trained staff who not only operate the truck but constantly connect with IT systems for updating and exchange of data. There is no longer just one kind of driver: the most skilled workers operate the more complex machines, like man-up trucks or high-level order pickers, making sure that desired output levels are achieved. Other warehouse employees ensure orders are collected by automated guided vehicles (AGVs) or other mechanised solutions, resulting in the elimination of long walking distances in the warehouse. The warehouse worker now checks machines, interacts with the ERP (enterprise resource planning) system and controls single-handedly an operation that used to involve dozens of people. Warehouse operators or forklift drivers need continuous training to keep up with technological changes and new working methods. In addition, they have a growing number of regulations to meet in order to secure proper levels of health and safety control. The first virtual reality devices, such as VR glasses, are already being used in the warehouse, bringing forklift drivers all the information they need, right in front of their eyes. Voice technology actually ‘talks’ with the driver, helping him or her to collect the goods swiftly and without error. Put simply, the job has become much more complex. Today’s forklift driver has to deal with a myriad of technological aids to perform tasks, and the same goes for the warehouse or logistics manager. Of all activities in the warehouse, the order picking and dispatch tasks have become the most important. But in the loading and unloading area, production logistics or any other field where materials handling is involved, the manager must also drive activities efficiently and cost-effectively and meet Key Performance Indicators. It’s not like in the old days, when it was enough to know where the goods were kept! Today, the warehouse manager needs to reckon with new technologies like ‘big data’, the Internet of Things and robots to make sure his department contributes to the bottom line. In fact, the warehouse is just one link within the whole supply chain and is managed accordingly. A logistics manager needs a highly specialised education, often at university degree level, to find opportunities in larger, cross-functional, multi-country operations. He or she needs to understand issues around transportation, customs and packaging, and at the same time know what the market wants. Indeed, it is not uncommon for logistics managers to meet up with marketing people to anticipate peaks, promotions or new channels. No longer is it just about cost reduction. It is probably not even just about performance. Materials handling has become key to a company’s success and even contributes to achieving broader goals, like sustainability. A simple example is when companies opt for the most fuel/energy-efficient forklifts to reduce their carbon footprint. of robots in the warehouse will affect the forklift driver or warehouse employee in the coming decades. Pessimists warn of a disastrous loss of jobs, leaving warehouses operated mostly by machines with hardly any human involvement. Others feel we are only seeing what has always happened: that jobs in the warehouse or any other materials handling activity are constantly evolving; and whilst some jobs may disappear, other new jobs will emerge from this evolution. Recruitment agency Hays foresees the rise of jobs like logistics planners, data analysts, sustainability experts and flow management specialists. When Hays researched the ‘Job of the Future’ in logistics, amongst 350 professionals, most of them actually predicted a large increase in jobs, at least until 2025, to cope with the ever-increasing role of logistics. Whatever the outcome may be, without doubt the forklift driver and warehouse manager of tomorrow will once more require other, new skills and enhanced educational programmes. 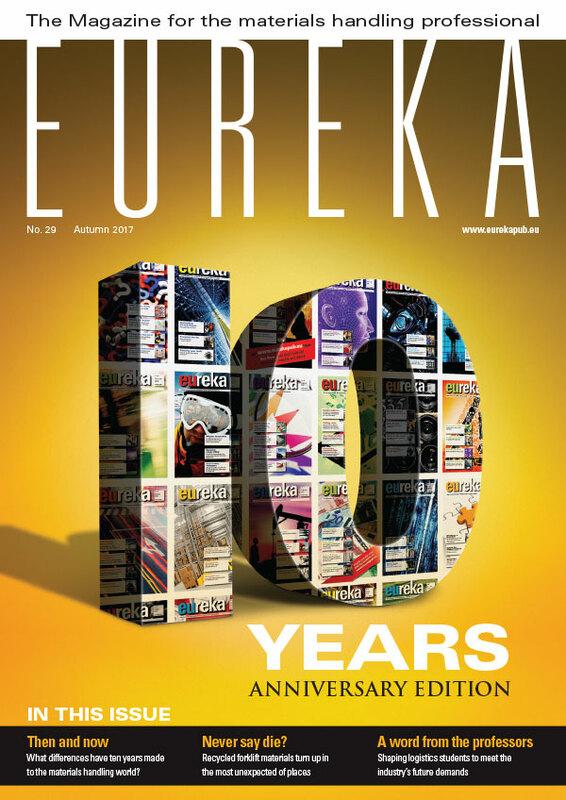 This article appeared in the 2017 Winter edition of eureka magazine.